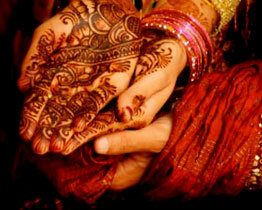 Wedding in Rajasthan is an exotic and elegant event. The Wedding in Rajasthan is one of the traditional and colorful events of India. In fact Rajasthani weddings are the true symbol of the heritage and culture of Rajasthan. This kind of wedding expresses the true spirit and elegance of exotic event. The royal approach can perfectly be seen in the Wedding in Rajasthan. Among the Rajasthani people it is an important and prestigious event. 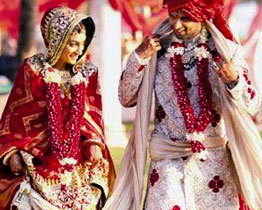 Wedding in Rajasthan usually takes place in various royal places and heritage hotels. The Palace (Fort) Wedding in Rajasthan is a common phenomenon. Now a days who wish to perform a wedding in royal method they choose numbers of wedding venues in various parts of Rajasthan. There is a range of royal wedding places in Rajasthan such as Udaipur, Devigarh, Jaipur, Mandawa, Jodhpur, Neemrana and Jaisalmer. 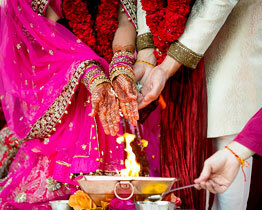 Udaipur is one of the appropriate destinations for performing Wedding in Rajasthan. One can arrange wedding parties in the various places in Udaipur like Taj Lake Palace, Jagat Niwas Palace, Oberoi Udaivilas, Shiv Niwas Palace and the Fateh Prakash Palace. Along with these there are different heritage hotels in Udaipur which have banquet halls. These banquet halls are decorated and furnished with wedding facilities. Another perfect venue for the Wedding in Rajasthan is Devigarh. Here the Devi Garh Fort Palace can be used for wedding ceremonies. Janana Courtyard within the palace territory is a place which can accommodated 25 to 30 people. The Pink City of Rajasthan, Jaipur is a fascinating place of Wedding in Rajasthan. 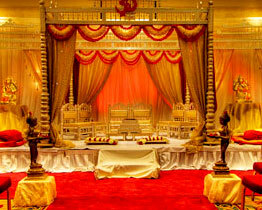 You can select one of the palaces in Jaipur which organize wedding ceremonies. There are Rambagh Palace, Rajvilas Palace, Jai Mahal Palace and Samode Haveli. The list of venues for the Wedding in Rajasthan is huge. The list includes the various palaces of Jodhpur and Jaisalmer. In Jodhpur there is Ajit Bhawan Palace, Umaid Bhawan Palace and the Taj Hari Mahal. Jaisalmer also boasts some famous and gorgeous palaces which are used during Wedding in Rajasthan. You can choose any one of these palaces in Jaisalmer for wedding parties. There is Gorbandh Palace, Fort Rajwada, Narain Niwas and Jawahar Niwas. The oldest heritage palace of India is The Neemrana Fort-Palace. This palace is built during 1464 AD. This is another venue for the royal Wedding in Rajasthan. All the places in Rajasthan, whether it is heritage hotel or Fort, palaces and havelis, make the Wedding in Rajasthan breathtaking and gorgeous. One can experience the real grandeur of the place in the Wedding of Rajasthan. Wedding is a significant event in anybody\'s life and if you want to plan your wedding in an out of the box way, then wedding in Jaipur might be your cup of tea. In fact the Pink City is one of the most romantic places to get married. A vision in white drenched in romance and beauty, Udaipur is an exquisite blend of multifarious sights, sounds and experiences - providing many an inspiration to poets, painters and writers since centuries. One of the oldest heritage palaces in India's Neemrana Fort Palace was built atop a majestic plateau in 1464. A place where the regal past blends beautifully with the present, Neemrana Fort doubles up as one of the exotic wedding venues in India. Golden sands, palm fringed and acres of serene beaches conjures the image of the beautiful beach city of India, Goa. 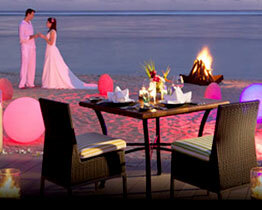 One of the most wanted destinations for beach weddings in India, Goa truly is the ideal venue for weddings.